Dragons Lair is my #1 nostalgic game from my childhood. I collect DL memorabilia and rare works so when lrg announced DL I immediately snagged the CE. I even named my second daughter Daphne after princess Daphne from DL. I’m a bit obsessed. So when my DL CE arrived I was a bit disappointed to find I’d been given a Space Ace card. So...long shot but does anyone have the Dragons Lair cards they wouldn’t mind parting with? Please message me your price and I’ll get back to you ASAP. Thank you so much for reading this. I have not received my copy yet, but if I do get one of the cards your looking for your welcome to it, I don’t really care about them. Thank you so much, here’s hoping you don’t pull a space ace too. 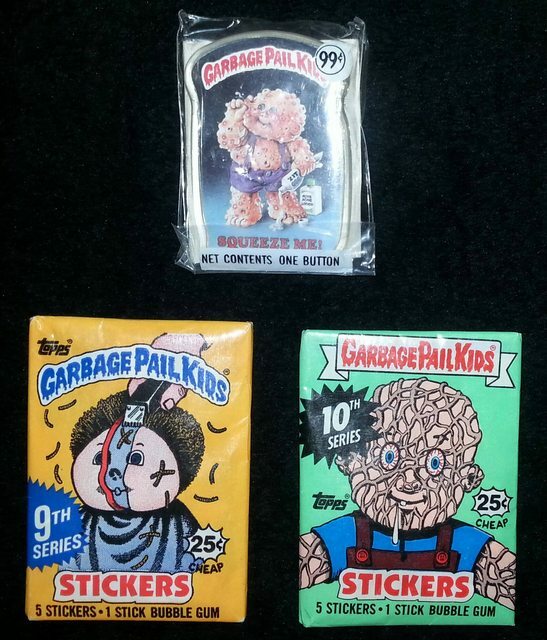 Unsure if I’m allowed to courtesy bump but it’s been awhile since my original post and outside of eBay I’m really not sure where to look for these. Thanks in advance. I just got my copy of dragons lair this morning. Unfortunately I also got a space ace card. Sorry about that. Best of luck getting the cards your looking for. same as mookie, if i get one you are welcome to it. let you know when i recieve it. Doh! Thanks for offering to help. Do you know of any places I could look to purchase these at? I haven’t even seen any that weren’t bundled with the game on eBay. I've got an extra Dragon's Lair Card #338. I'd be happy to send it, just PM your details. PM sent. Unfortunately the only listing for a Dragons Lair 2 card (which I need, if you’re sending me the original) but it’s for $17.49 for the regular silver. Is this price normal? Thanks to member mykll77 I was able to get my mits on a Dragons Lair 1 card (check your mailbox Mike and thank you). Still need a Dragons Lair 2 card I’d be willing to purchase or buy if anyone has one. Thanks to all on this board. This community is awesome. Lvclix wrote: Thanks to member mykll77 I was able to get my mits on a Dragons Lair 1 card (check your mailbox Mike and thank you). I'm glad it arrived OK! Hopefully someone here will have the other card you need. I received a nice little surprise from Lvclix after sending a Dragon's Lair card! 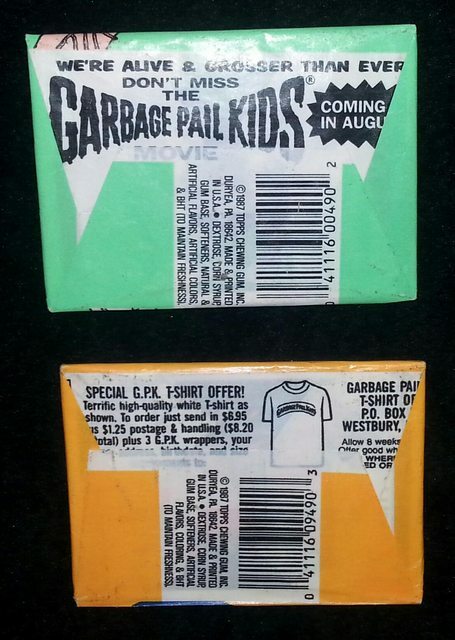 A couple Vintage packs of Garbage Pail Kids and a cool button. THANKS Lvclix! An unexpected and Awesome gift! Lvclix wrote: This community is awesome.